Like the majority of parents out there, I’m often time poor, but would still prefer to feed my kids homemade food. When I’m really pushed for time, one of my ‘go to’ meals is pizza (because they actually eat it!). We use a two ingredient dough which is super simple and versatile. 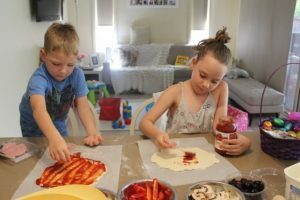 The dough is literally made from two ingredients, self raising flour and yoghurt, and it does not need time to rest so it really is a quick and easy meal. I always have self raising flour in the cupboard and Greek yoghurt in the fridge. I also freeze portions of tomato paste and freeze grated cheese in zip lock bags. It’s therefore something I can whip up in no time without needing to run to the shops. For the best dough I find it works best using 2 parts flour to 1 part yoghurt (eg. 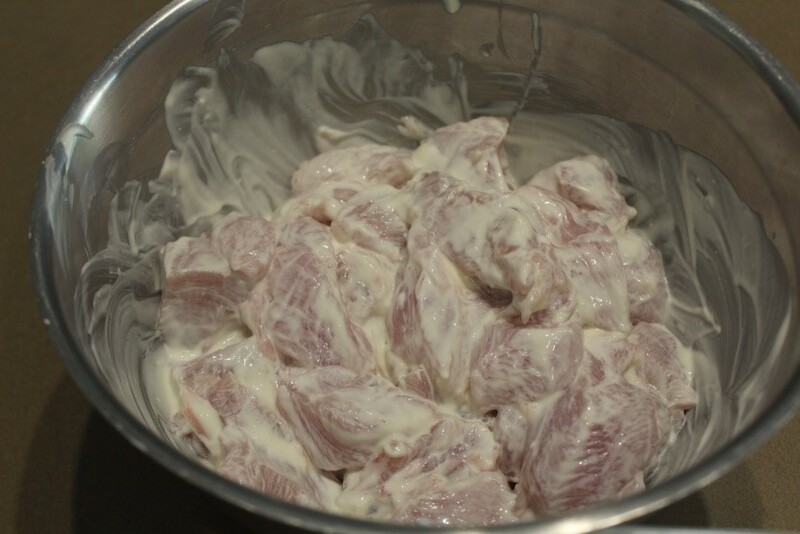 2 cups flour to 1 cup yoghurt). Throw the ingredients into a bowl and mix. You will need to use your hands to make sure it’s all combined. This is now where the kids can get involved. Once it is all combined and it looks like a dough, it’s time to roll it out onto a floured surface. 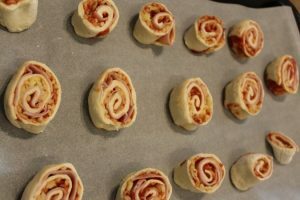 It’s best to roll it out straight onto a floured piece of baking paper, that way it can be transferred easily to the oven. I have tried it with wholemeal self raising flour and it works well, however is a bit more dense. I have not tried any other yoghurts, but I’m sure you could. We use a plain Greek yoghurt. 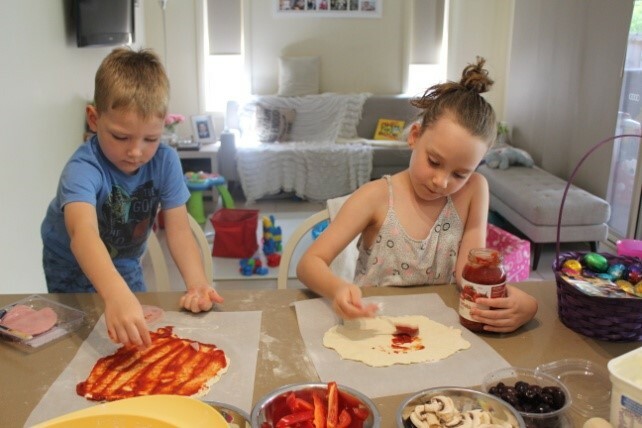 My kids love to help roll out the dough, and ‘decorate’ their pizza. We don’t worry about the shape or look of the pizza, it always tastes the same once it’s cooked. 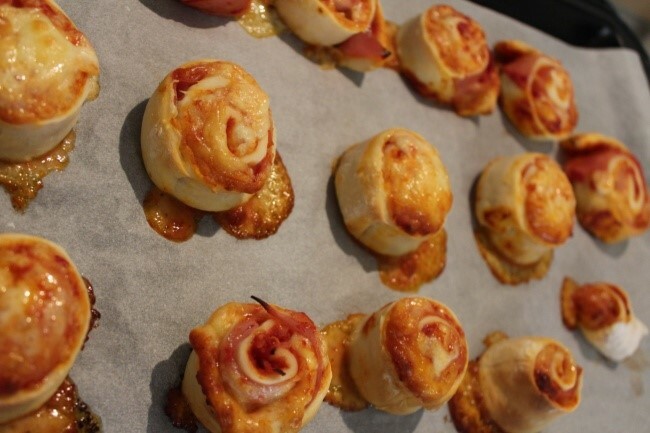 It works well in both the conventional oven and the pizza oven. It doesn’t take long to cook so is best cooked in a preheated moderate oven, monitoring regularly (my kids don’t like black bits!). As I said previously, the dough is versatile. We roll it thinner to make scrolls which we then freeze for snacks. 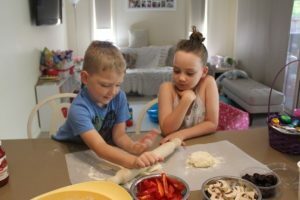 Today we made a ham and cheese pizza scroll, but we also like making cheese and vegemite. They freeze well and are a great little snack or even a quick school lunch. We have even pan fried the dough and used it as naan bread with our curry. Enjoy! My kids love chicken nuggets, but I really dislike buying the frozen kind. 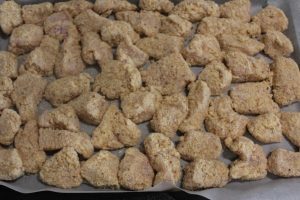 I’ve found the easiest, quickest and yummiest way to make them is using chicken breast, yoghurt and breadcrumbs. 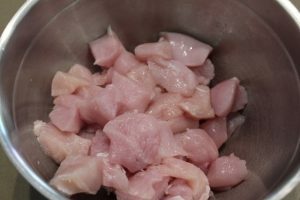 Firstly cut chicken breast into nugget sized chunks. 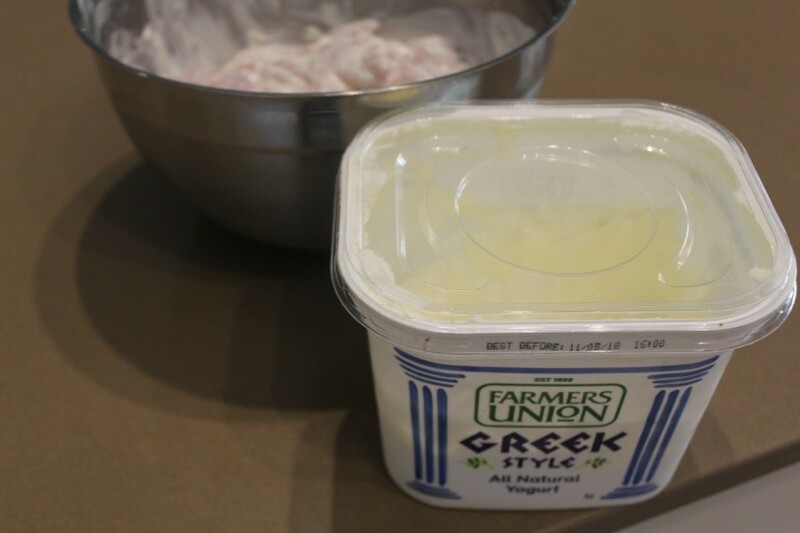 Throw into a bowl with a few spoonful’s of Greek or natural yoghurt. Stir them around making sure they are all nicely covered. Then transfer to the breadcrumbs and coat the chicken. These can be either shallow fried or placed on baking paper, sprayed with oil and baked. 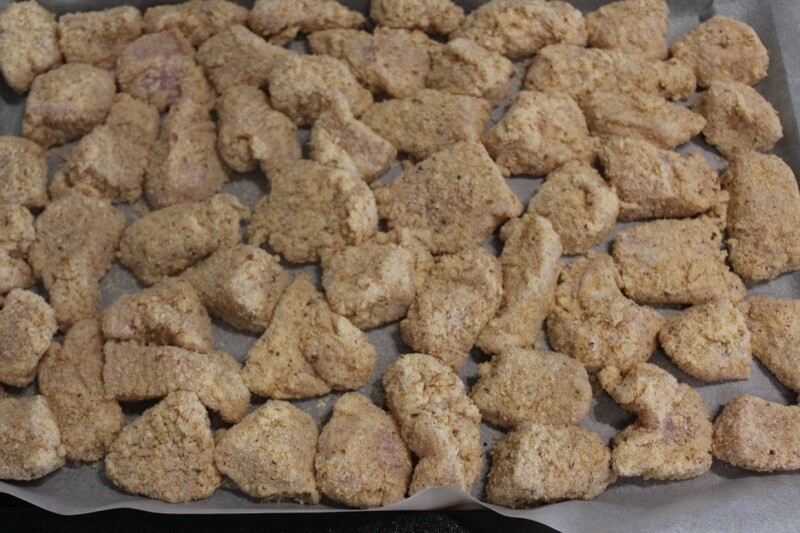 Baking is obviously the healthier option but it gives the nuggets a drier/crunchier texture. My kids prefer when they are shallow fried, but eat them either way. The oven is definitely the easier option. These are always a winner in our household, we love them with home cut potato or sweet potato wedges and I also love squeezing some lemon on top!